Life in the fast lane for photonics! Backers of an initiative to raise awareness of the field of photonics and the many contributions photonics technologies and applications make to a stronger economy as well as quality of life have new reason to celebrate. 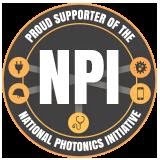 Last week, the Committee on Science of the the National Science and Technology Council nudged photonics toward the fast track, with the release on Thursday of a report by its Fast-Track Action Committee on Optics and Photonics (FTAC-OP). Brain-mapping milestone -- with photonics, of course! For 10 years since its founding, the Allen Institute for Brain Science in Seattle has been working toward a greater understanding of the brain, "inspired by the quest to uncover the essence of what makes us human," according to its website. It's a timely quest, given the "big neuroscience" efforts around the world -- including the Human Brain Project in Europe and the BRAIN Initiative in the United States.